Well incase you forgot, it is pancake day today or shrove Tuesday if you prefer. 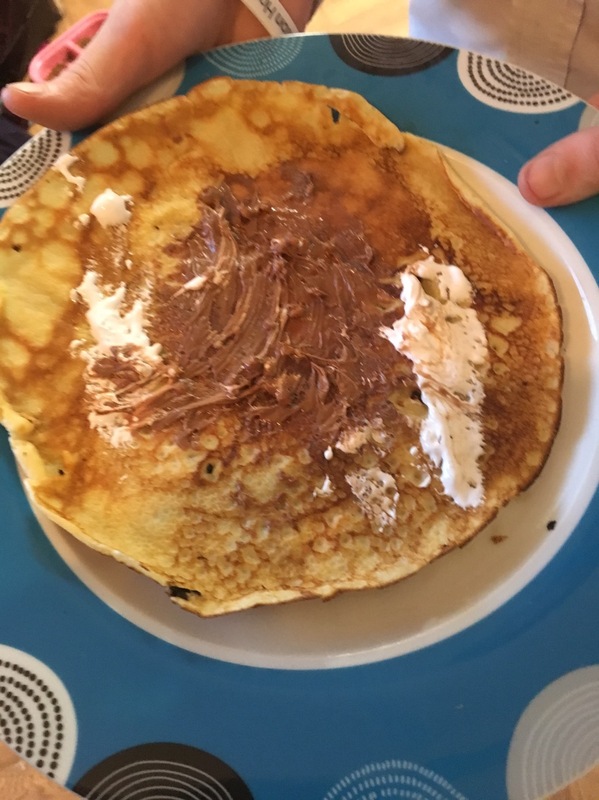 We do pancakes every year even tho I’m not a fan myself, my children love it. 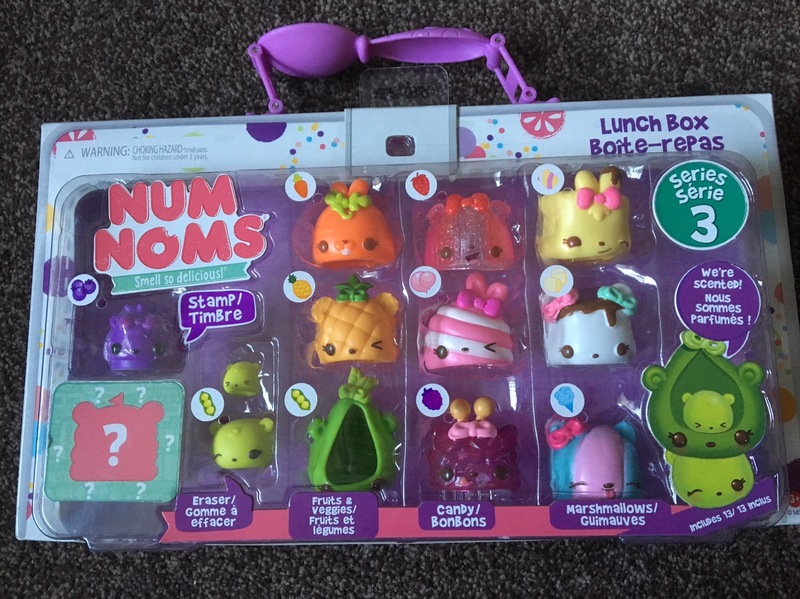 This year we are taking part in a Num noms campaign “what’s your flavour” and it involves incorporating the new num noms series 3 with our pancake recipes. These are the new series 3! With a lunchbox yet sweet theme. So armed with a bottle of this stuff! – (No I don’t even attempt them from scratch!) 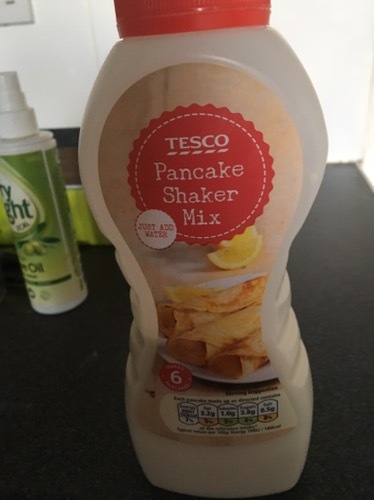 plus…..
A non stick frying pan too, along with an open door and working smoke alarm, off I went to make pancakes. Oh and of course a few toppings too with a few inedible additions here. Attempt #1 – went totally wrong, the damn thing would not turn and stuck to the “non stick” frying pan! I don’t do flipping either, way too scary, I just use two pans and flip the pancake into the other one. #Attempt 2 – a bit better, tho not round like it started out. Still Izebella didn’t mind what shape it was and was more than happy to decorate it. I think we have Sara strawberry Num nom here at the front along with two others. Izebella has a box full of hundreds of them and I only know a few of the foodie names. Onto the third attempt and much better, I’m getting the hang of this now! 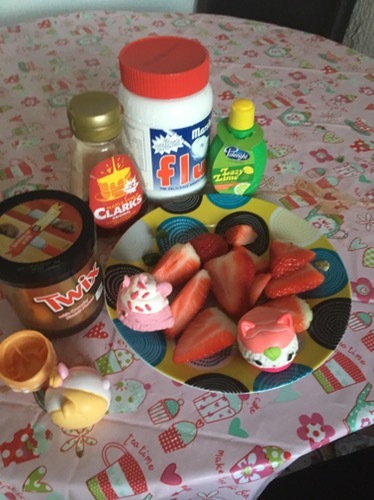 Jordanna’s creation a little more basic with the ingredients but not so with the Num noms! 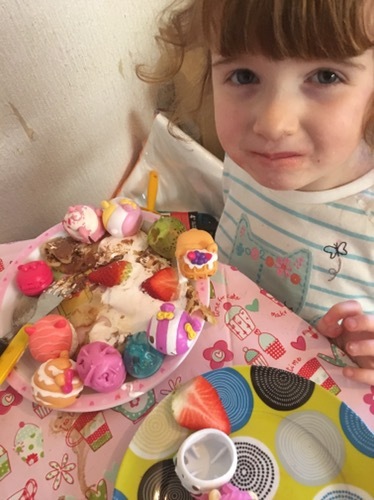 Yes she chose all the pink, white and chocolate coloured Num noms to represent her toppings – chocolate spread, marshmallow fluff and strawberries. 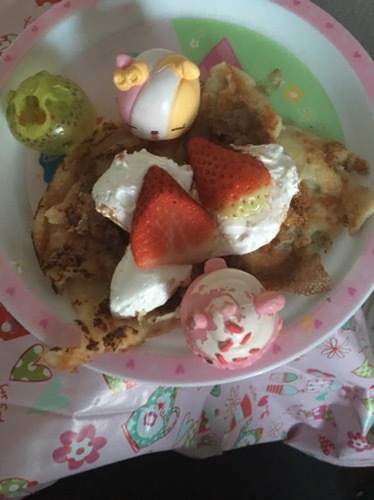 I think Izebella got slightly carried away on the next attempt and covered the pancake with Num noms. 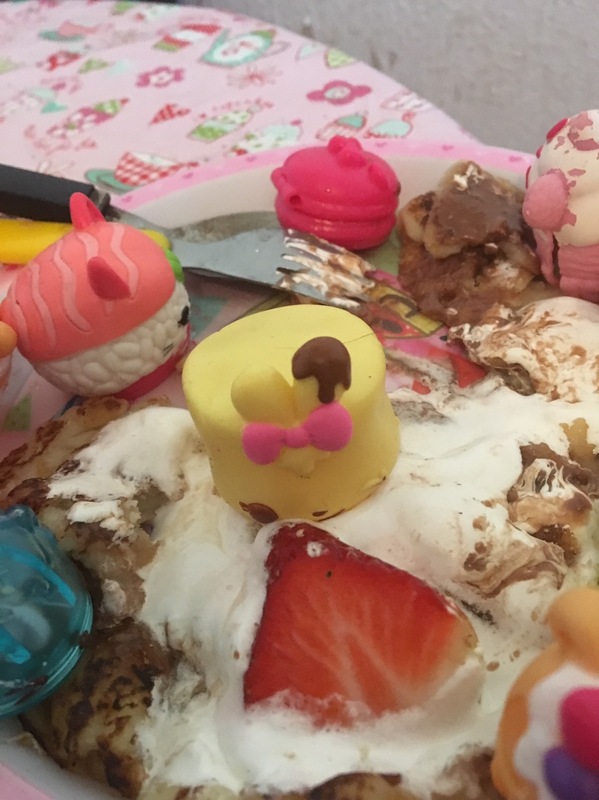 She did find Maya mallow, after a bit of digging in the box, and placed her proudly on top of the marshmallow. 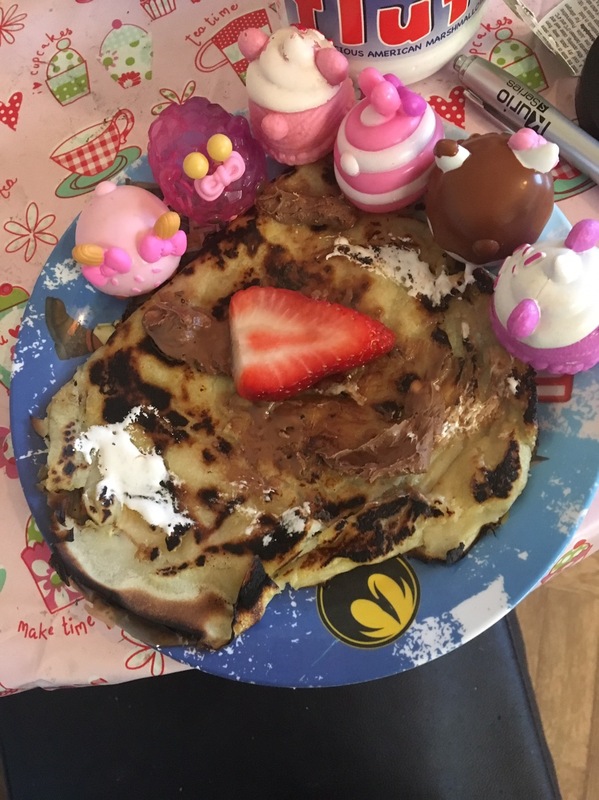 And Ryan doesn’t really do Num noms on his plate, however he can make an almost perfect round pancake his self, much better than my previous attempts.